BRUSSELS: China dismissed US security warnings against its telecoms equipment maker Huawei as groundless and “abnormal” on Monday, as the Chinese government’s top diplomat went to Brussels to cool growing European frustration over trade. In a veiled reference to Huawei Technologies Co, which the United States says could spy on the West, Chinese State Councillor Wang Yi told Washington to stop its attempts to “bring down” the company. “We think such practices are abnormal, immoral and have no support,” he said after a meeting with EU foreign policy chief Federica Mogherini and hours before a lunch with EU foreign ministers in Brussels. While eager to talk up “win-win” cooperation with the European Union, the world’s biggest trading bloc, Wang began a day of talks against a backdrop of intense EU diplomacy. 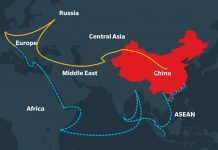 The bloc is seeking to translate a new wariness about China into a more defensive EU policy, diplomats and officials say. “China is becoming really expansionist and have to stick to the rules … we are competing,” Lithuania’s Foreign Minister Linas Linkevicius told reporters before the lunch with Wang. Last week in a shift in tone, the European Commission, the EU executive, described China as a “systemic rival” and called on the bloc to be more assertive after years of welcoming Chinese investment virtually unhindered. 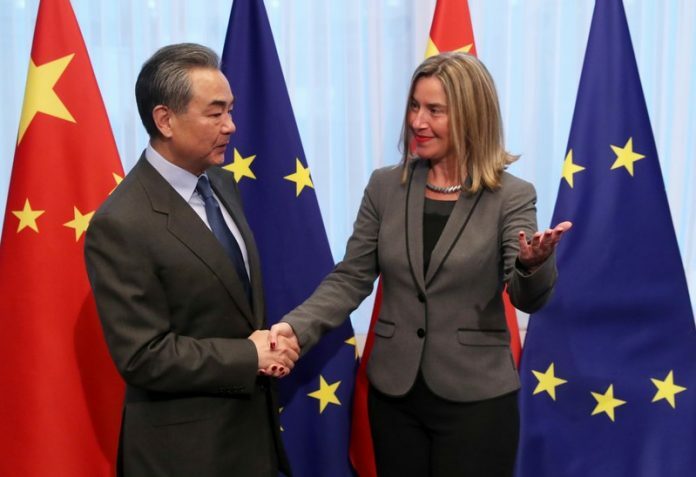 Wang acknowledged the change in mood in his public remarks, saying competition between China and the European Union “may be inevitable”, although both he and Mogherini continued to refer to a strategic partnership between them. Highlighting what the EU says is China’s refusal to allow the kind of unfettered foreign investment access that Chinese companies enjoy in Europe, the bloc’s trade deficit with China increased in January, according to EU data on Monday. A surge of Chinese takeovers in critical sectors in Europe and an impression in Brussels that Beijing has not kept its promise to stand up for free trade and globalization have given the April meeting new urgency, diplomats said.